Essential oils are a fabulous addition to any of our home made products. With their amazing fragrances and therapeutic benefits, they're a natural fit for just about any recipe. But with great power comes great responsibility, and there are a few things to consider when using citrus essential oils. 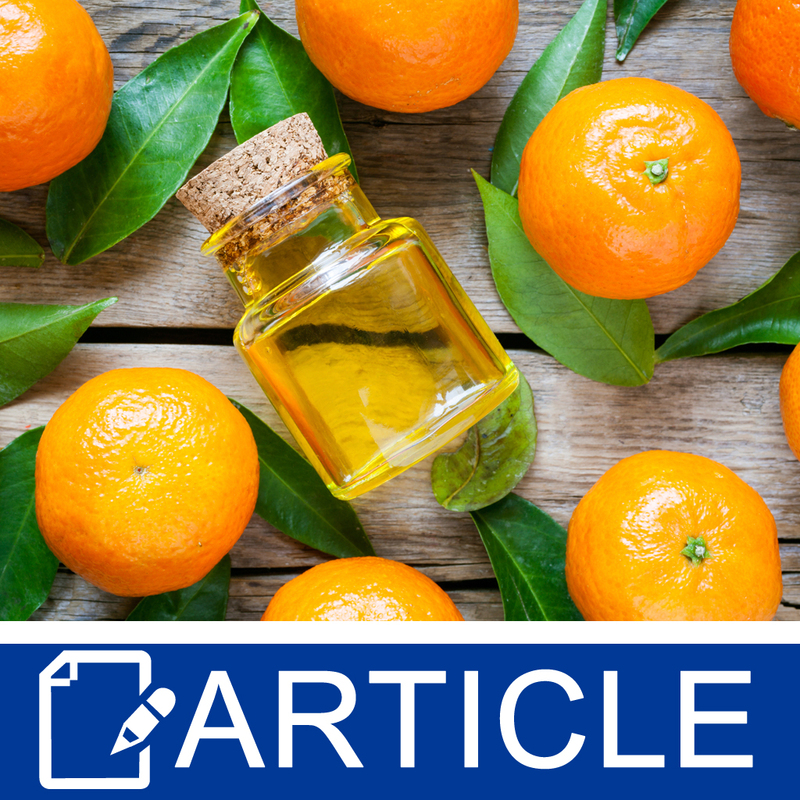 When formulating leave on products like lotions, balms, and salves, be aware that some citrus essential oils can make your skin photosensitive. 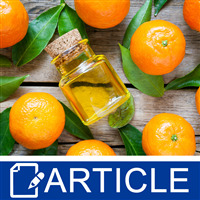 Bergamot, grapefruit, lemon, lime, mandarin, tangerine, and bitter orange essential oils contain compounds called furocoumarins, which are phototoxic. Exposure to UV light while enjoying one of these oils can result in an inflammatory response called photodermatitis, which will leave you with itching, stinging, burning skin that may be red, blistered, and painful. There are restrictions on the use of these types of essential oils when used in a leave on product. The EU Scientific Committee on Consumer Products recommends the concentration of furocoumarins not exceed 1 ppm, or 1 mg/kg, while the IFRA suggests that the concentration of bergapten, a type of furocoumarin, not exceed 15 ppm or 15 mg/kg. (There are no restrictions on the use of these ingredients in rinse off products, such as soap or shampoo.) Bergamot is restricted to 0.4%, while you may go as high as 4% expressed grapefruit essential oil, 2% cold pressed lemon essential oil, 0.7% cold pressed lime essential oil, and 1.25% expressed bitter orange essential oil. Where you live might have an impact on the suggested usage rates: Health Canada recommends 0.1% usage for mandarin leaf, while the IFRA recommends 0.17% (which really isn't a huge difference!). If you're in doubt, check with your local regulatory agency. The way an essential oil is processed can affect the concentration of furocoumarins in the final product. Cold pressed oils have higher levels than distilled versions. You can buy essential oils with these compounds reduced or removed, such as the case with bergamot FCF, or in a folded form, like 5 or 10 fold. What about other citrus oils like yuzu or orange? These are non-phototoxic, but they still contain compounds that may have an impact on your skin and hair. Many citrus essential oils contain limonene, a powerful de-greaser you can purchase on its own to include in products intended for removing oil, like dishwashing liquid or hand cleansers - try 5% in a dishwashing liquid for easier post-crafting clean up - and a good penetration enhancer for our skin. Our stratum corneum - the top layers of our skin - contains lipids, and limonene can strip away some of those oils. This might be a good thing for someone with greasy hair or skin in a shampoo, body wash, or facial cleanser, but it could spell disaster for someone who suffers from excessive dryness. Contrary to the memes we see on Facebook, our skin is actually quite an effective barrier to the outside world. Ingredients in our products might penetrate a bit into our stratum corneum, but very few will get much deeper than that. It's okay, we want them to moisturize and hydrate the top layers to increase skin's elasticity, reduce flaking, and soften roughness, and penetrating deeper into our skin doesn't necessarily mean more of those good things. Absorption can be a good thing when we're using ingredients like AHAs or other cosmeceuticals because they can work a little deeper to increase exfoliation, increase collagen production, or reduce the look of fine lines and wrinkles. However, this increased penetration indicates that we've disrupted the skin's barrier protection, which increases the potential for sensitization and irritation. What can you do if you simply can't live without that amazing lime and eucalyptus blend in your emulsified scrub or that crisp yuzu fragrance in your hand lotion? Always use essential oils within the recommended usage rate. You can get that information from your supplier or by checking with the IFRA, EU Scientific Committee on Consumer Products, or government agency, like the FDA or Health Canada. Check which version of the essential oil you're buying, and consider using a distilled, folded, or a low furocoumarin type. Save your cold pressed or expelled oils for rinse off products like soap, shampoo, and body wash. Consider whether the product will be a leave on or rinse off product. If it's a leave on product, will it be exposed to the sun, hide under a pair of socks or other clothing, or only be used at night? Consider the skin or hair type of your intended user. Orange vanilla shampoo might work well for your teenager who suffers from greasy hair and scalp, but it could spell disaster for your friend with dry roots and dry ends. Consider adding re-fattening ingredients to counteract the degreasing properties of limonene. Emollients such as vegetable oils, butters, esters, fatty acids, or fatty alcohols will offer extra moisturizing. Adding a water soluble oil to a facial cleanser or body wash, or adding glycol distearate to a shampoo will increase the moisturizing properties. Consider adding ingredients like oils containing linoleic acid, dimethicone, cocoa butter, and allantoin to products that might disrupt the skin's barrier. Adding as little as 0.5% allantoin or 2% dimethicone can make a big difference in reducing transepidermal water loss and keeping skin moisturized and hydrated.